5 Things You Need To Master Emotional Intelligence in Marketing! Countless articles talk about the amazing power that emotional intelligence (EQ) has on marketing success, but they never tell you how to apply it to your own campaigns. How do you harness emotional intelligence in marketing to create successful, long-term campaigns? Emotional intelligence in marketing is not just about trying to elicit an emotional response or using an informal tone in your messaging. It’s not merely about solving a pain point or using a cool image. You have to go deeper. At MailerLite, we call this the human approach. For starters, we always focus on the things our customers care about. But it doesn’t end there. Offering value is half the battle. The part most people miss is “how” you go about offering that value. In this post, we will share practical ways to apply emotional intelligence to your marketing initiatives. We’ll go beyond the theoretical concepts and give you the tangible, necessary steps to use it. A wonderful irony now exists with the rise of artificial intelligence and automation in marketing. As technology and data revolutionize our ability to target and deliver relevant messages to smaller, segmented audiences, the need for a more personal, human-to-human connection increases. The more technical marketing gets, the more human it must become. When everyone uses the same technology, using emotional intelligence in marketing becomes your competitive advantage. In the old days, you would market to a broad audience. The broader the audience, the more generic your message had to be to make it work for everyone. As we move towards 1-to-1 marketing, you need to talk to people like they are your friend – relating to them on a human level. This level of intimacy requires emotionally-driven awareness on the part of the marketer. Most businesses still focus on the rational benefits of their product such as price and functional features. But people make purchase decisions on more than rationale. There is always an emotional element. People make decisions with a mix of intellect and emotion. In one study, researchers used electroencephalogram (EEG) headsets to observe emotional cues in the brain as participants watched TV ads. The findings pointed to a double-digit increase in sales for those ads that had a positive emotional effect. How can you connect with both the rational and emotional psyche which lead to improved conversions, purchases, and customer loyalty? Let’s start with the guy who wrote the book on emotional intelligence. Self Awareness: Know your brand personality, what you offer and what people already think about you. Motivation: What are you trying to accomplish with your marketing? Be honest about how you want people to respond to your marketing. Empathy: How will people receive your marketing? Do you have their interests in mind or just yours? Do they get more out of the transaction than you do? Self-Regulation: Can you filter out the insincerity, the self-interest and anything else that will annoy, offend or interrupt? Social Skills: Can you communicate your message in a way that is thoughtful, authentic and human? While Goleman uses these five qualities to help explain the theory of emotional intelligence, they also make an excellent framework for you to apply EQ to your marketing efforts. Before you rush into creating a new campaign, go through this EQ process, answering questions in each area. After you create the campaign, go through the questions AGAIN to make sure all your messaging delivers on all five areas. Marketing with emotional intelligence is no different. It’s natural to focus on the product or service you need to sell. But the people you are selling to care more about who you are than what you sell. Self-awareness is the first step to harnessing EQ in your campaigns. Here are some questions to strengthen your awareness of your brand. 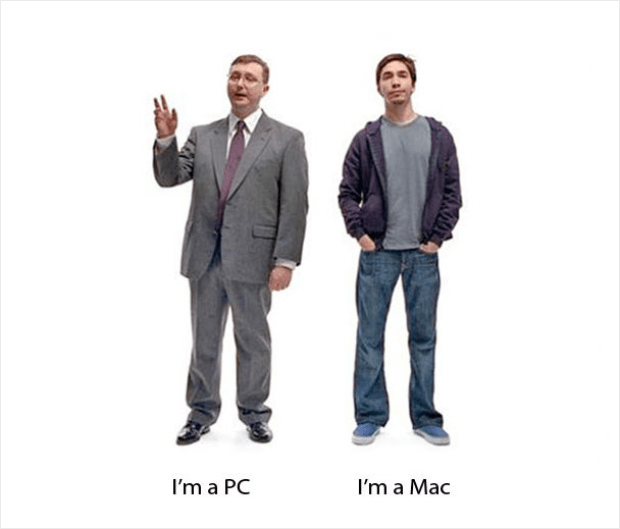 How do people perceive your company/brand? Why do people have issues with you? Knowing yourself is a mix between how you want to be perceived and how others see you. The best way to bridge this gap is to ask people. Ask current customers why they like you and what you can improve. Ask others why they have yet to do business with you. Every successful marketing campaign starts with a goal. When you create a goal, you are establishing your motive. Do you want to increase sales? Grow web traffic? Retain customers? Whatever the goal is, the primary purpose of your marketing efforts is to achieve that goal. But at what expense to your audience? By being honest about what you are trying to achieve, you can start to think differently about what’s in it for your audience. 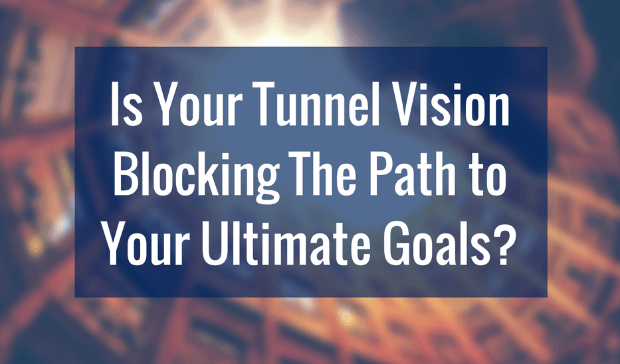 Emotionally intelligent campaigns don’t get tunnel vision. It’s not about achieving at all costs. It’s about achieving your goals while building relationships with your audience. How will your goals help people? Are you motivated to achieve your goal at all costs or are you willing to sacrifice tactics that might interrupt or annoy? How will you build relationships while still achieving your goals? Does campaign success include a human element or is it purely functional? By understanding your motives, you can dig deeper into your self-awareness. When you know who you are and what you want, you can have an honest conversation about the possible pitfalls to avoid. 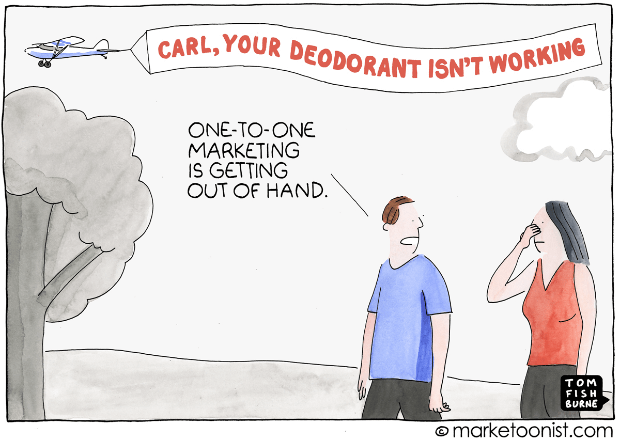 We all know effective marketing solves a pain point or fulfills a need. Offering value that makes someone’s life better is what every great marketer should strive for. That said, meeting a need does not necessarily mean you are an empathetic marketer. Empathy in marketing means putting yourself in your audience’s situation. Instead of thinking about your motives to achieve a goal, you ask yourself what the audience cares about. By being empathetic, you will tweak your motives, your message and how you deliver that message. 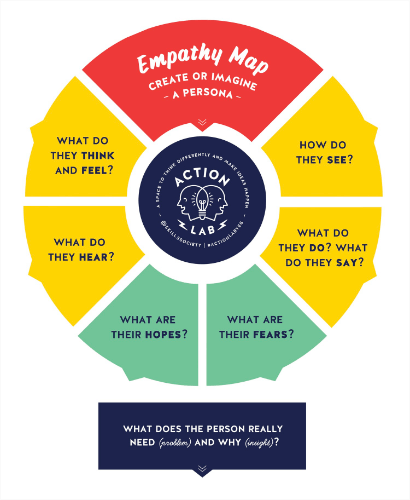 A great way to become more empathetic is by going through an empathy mapping exercise. Social media, email marketing, and customer support are three channels that enable you to ask people questions and survey large audiences. Put in the work to understand your audience beyond what they want. Find out who they are and what makes them tick. Do you understand your target audience’s fears, desires, and beliefs? How does your marketing address these emotions? Does your marketing show respect for the audience? How will you achieve your marketing goals through the filter of empathy? Is your use of empathy sincere? How can you be sure? When people feel acknowledged and respected, they respond positively and trust quickly follows. The best way to know if your marketing is coming across as empathetic is to test it. Share your ideas with potential customers to get raw, unbiased feedback. When you reach a high level of understanding about yourself, your motives and your audience, it’s time to go back and re-examine your goals, strategies and messaging. Emotional intelligence is not something that you add at the end. The principles must influence every aspect of the marketing plan. Otherwise, it will be very hard to maintain EQ when challenges arise. When times get tough or something in the plan suddenly changes, will you go into panic mode, let your instincts take over and ignore your emotional intelligence? Can you filter out any signs of insincerity, of self-interest and anything else that will possibly antagonize or alienate your audience? Do your marketing goals benefit both you and your audience? Does the strategy take into account the audience’s emotional needs? Is your messaging superficial or does it exhibit truth and thoughtfulness for others? How do you expect your audience to respond to you? How will you respond to negative comments or feedback? The best way to maintain emotional intelligence in marketing throughout constant change is to make sure it is firmly rooted in your goals and strategies. Make EQ part of your company’s values and never waver. News flash: Your company is made up of humans (and maybe a dog or two). Every successful company has a brand personality and voice that is human. When you communicate, is your human personality coming through or do you sound like a faceless business talking to your audience? Emotionally intelligent people are well-liked. They know how to talk to people, make deeper connections and build a rapport. ‘Corporate speak’ is one of the biggest barriers to achieving emotional intelligence in marketing. You need to be intentional with every piece of marketing to make sure your brand’s human personality shines through. Do you have a clear personality? What is it? 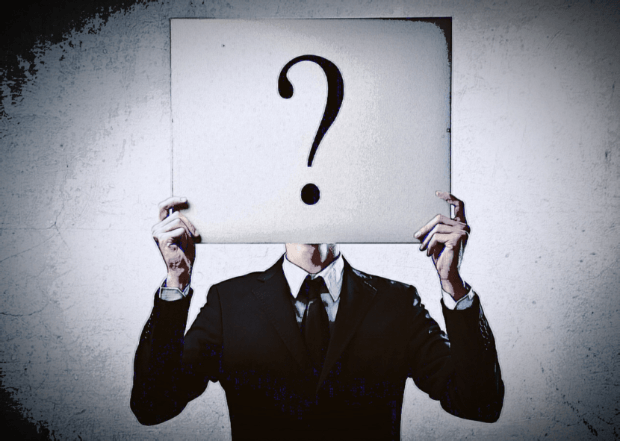 Is your personality authentic? Is it rooted in truth? Do people like your personality? Why or why not? Does your personality come across in your writing and communications? Do you listen to your audience or just talk? The instinct of marketers is to promote their products and services by talking about all the great benefits that they offer. While this is still an important part of marketing, it is no longer enough. People are tired of being called consumers, subscribers, users, etc. They are humans with unique backgrounds, desires and emotions. They want you to respect their intelligence, their situation, and their values. Emotionally intelligent marketing campaigns set out to accomplish this delicate balancing act of delivering value in a way that resonates with people. Making an emotional connection with your audience will improve engagement and loyalty, which will lead to better conversions, sales, and retention.